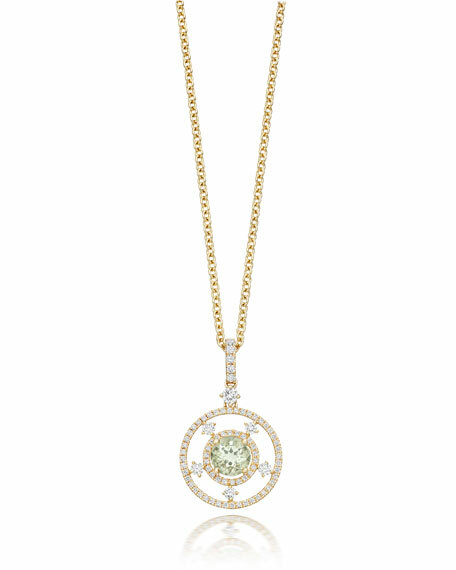 Kiki McDonough "Apollo" pendant necklace. White diamonds with green amethyst. 0.90 total amethyst carat weight.